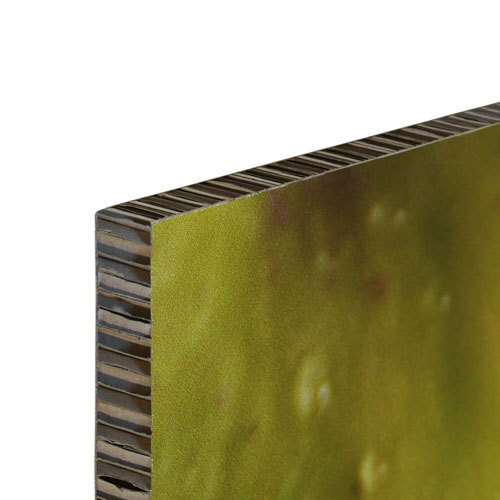 Eco-friendly cardboard displays are 100% recyclable. They consist of two parts that can be assembled without tools within a very short time. 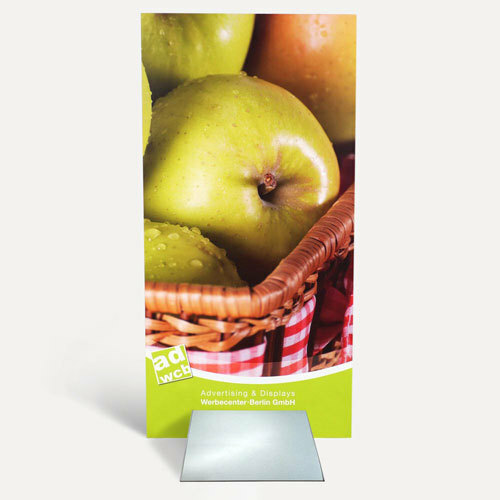 The eco-friendly cardboard displays are a great eye-catcher for your advertising. It consists of two parts that can be assembled without tools within a very short time. The feet do not have to be stuck or screwed so transportation is easy when disassembed. 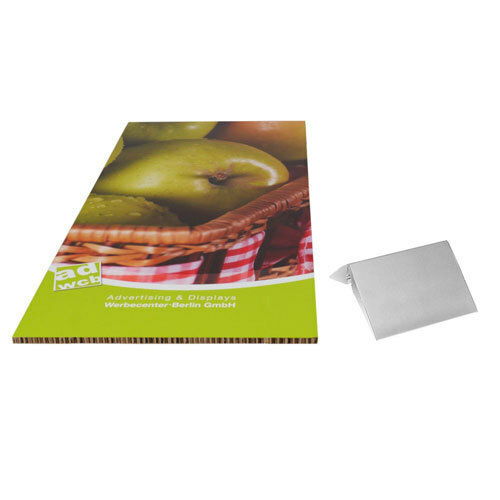 The displays can be printed on the front and back side with different motifs according to your template. In order to achieve a harmonious overall picture, the foot is in a neutral silver color. This is an extremely stable advertising medium that allows to be seen by customers from two directions. To add figures and formes for a more custom advertising you can order Cardboard cutouts.